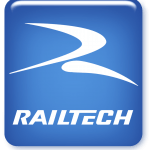 Railtech Matweld is now a division of Railtech International, producing American-made tools and proudly serving the railroad industry through innovation, training and service. Railtech Matweld, Inc. is an international company offering high quality railway products for the railroad industry and is your single source for hydraulic tools and equipment. Railtech Matweld is an industry specialist meeting customer tool and product requirements with current, or custom, manufacturing capabilities that meet specifications for unique applications within urban and transit rail systems. Railtech Matweld offers after-the-sale training, service and single-source purchase for all items sold. To meet the needs of our customers with quality, American-made products and services, satisfying their requirements the first time. Copyright © 2010-17 Railtech Boutet, Inc.